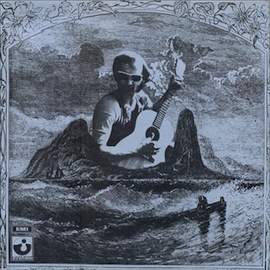 Michael Chapman, apart from being a prolific English songwriter whose revered work spans four decades, is probably the best guitar smith you have never heard. While his skills are best evidenced on this album’s predecessor, Rainmaker, the original songwriting and tight production, seemingly informed by all music that came before it, steal the show here. It’s as if every style of rock music were somehow harnessed and tamed into Michael’s unique folk vision. The album sounds fresh as anything recorded today, yet still of its time, sparkling with punchy drum fills and orchestral arrangements. The album opens with an understated triumph: experimental strings create a soundscape for the soothing rhythm of “Aviator” to “take my time away.” I cannot think of another 9 minute song that doesn’t seem to last long enough. The lyrics on the album evoke a feeling of hopelessness, and there is a kind of sad tone but all together I believe it can be an uplifting album. This may be thanks to sharing much of the same personnel responsible for early albums by Elton John and David Bowie. During Fully Qualified’s hardest moments, though, I hear a striking resemblance to Bowie’s classic Man Who Sold The World . “Stranger In The Room” and “Soulful Lady” lend a classic rock balance to softer songs like the immortal “Postcards From Scarborough“, by far the most famous Chapman song. Through several interludes, we are treated to Chapman’s masterful six-string suites. I know my fair share of fingerpicking but still have trouble believing that “Naked Ladies & Electric Ragtime” is actually performed on one guitar by one person. In any case, it’s a piece that should be standard fare in guitar workshops the world over. But note that I’m not talking about the electric guitar leads, performed by Mick Ronson who would later team up with Bowie, for Space Oddity, thanks to this record.